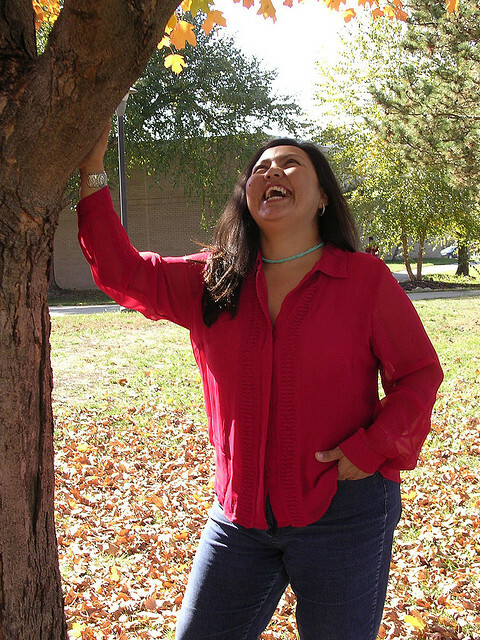 Happy, sappy and sometimes a little crappy | A blog in the life of an extra, ordinary Navajo woman named Lori. 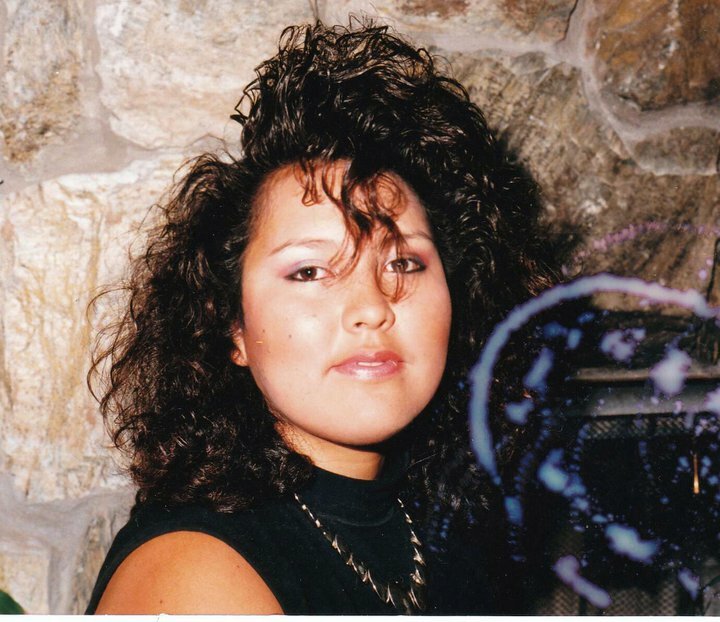 A blog in the life of an extra, ordinary Navajo woman named Lori. I used to work at the Cultural Center and Museum at Haskell Indian Nations University. I had worked with the Archives since I was an undergrad….a long time ago. My job consisted of making sure the research projects were completed; being a docent to museum patrons; and giving AMAZING tours to visitors. I say amazing for a reason. Next, we begin the journey back to a time before the doors opened at Haskell. We learn to understand WHY our door were opened in the first place…as a response to the “Indian problem.” I go on to tell them how our earliest students arrived at our doorstep…ripped from their families’ arms and thrust into a foreign world – alone. When our students arrived on campus, they were not allowed to speak their tribal language, wear their traditional clothing, or fraternize with their siblings. The youngest student was 3 years old – three. years. old. We then examine the starchy diet of mush, potatoes and gravy…every day. It’s amazing how our students were being taught the art of farming…their goods sold or given to the local Lawrence community. An unknowing local community that celebrated with a parade the day that the City learned of their successful bid to land the NEW US Industrial Training School for Indians. It would be located on the 900+ acres that the school’s namesake, Kansas Senator Dudley C. Haskell had acquired. It all seemed fitting, after all, the town’s founding “Free State” principles included provisions entitling all its citizens to fair education. We move onto learn how families hunted for information for their children. Many times, they searched without response from school or government authorities. If they were lucky, they would be notified of their child’s progress, or death. Students at the school had questions about the mysterious deaths…that went unanswered, as well. Before the turn of the century, the school raised the age limit. The young were too fragile and died too easily. 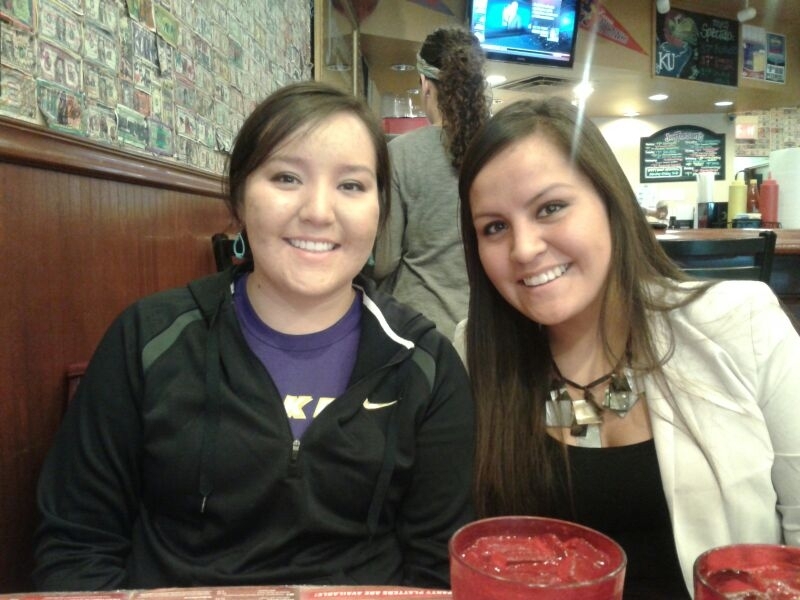 The majority of students acclimated to life at Haskell. They engaged in their classes. Their bodies adjusted to the diet. The found a fondness in the lush green campus that sits in the shadow of the Ivory Hallowed Halls of KU. This became home. Home became Haskell. Mutual love and surrender. Over the years, thousands of students filled the campus with dreams learning trades and skills to engage in a quickly changing world. As I read the Weekly Photo Challenge, I was reminded of the best photo op I had the pleasure of being involved in. I was in the middle of a publicity photo shoot when the photographer said something that just tickled me! I threw my head back and just couldn’t stop laughing. 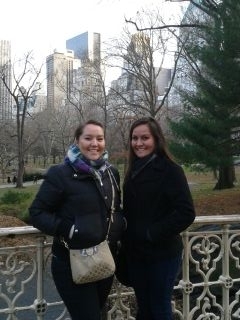 She caught the beginning of my carefree-fall. I remember being doubled over before I eventually regained my composure. The funny thing is that I don’t remember what she said. But, I vividly remember the effects. This turned out to be our favorite photo of the entire shoot. Carefree hilarity happens at the most opportune times. I am blessed to be flanked by kids. Most of the time, they do not belong to me. I frequently babysit when friends need help, or time off! While in tow, I freely tell them stories or tell them all about the wonders of the amazing world they live in. One particular day in August, I had the pleasure of hanging out with two of my favorite kiddos. We drove to and from around town and I told them all kinds of things that came to mind….including how excited I was that my favorite flowers of all time were in bloom. I told them that they only bloom for a few weeks in August. As we drove around town, I would slow down and point them out. These beautiful flowers are called a Belladonna Lilly. However, I told these precious kids the common name that I’m familiar with, “Naked Ladies.” We would all chuckle and point out, “hey look, there’s some more Naked Ladies! !” It was a silly little joke all day. 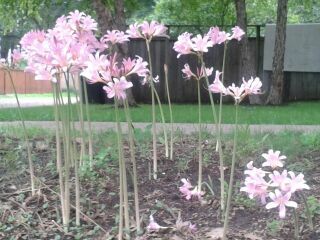 AAAhhhhh…..I died when I got the the text asking if those flowers were really called Naked Ladies! The hospital room was spacious. It had to be in order to accommodate our entire family. I remember wiggling myself onto the thick, smooth, cool concrete windowsill. I loved to look down on the strange green lawn from the third story window. We were in the desert town of Albuquerque, New Mexico, green lawns were far and few between. I would watch people picnic and kids play in the grass, as if they enjoyed being at a hospital. Perhaps, for the short time that they frolicked, they imagined they were somewhere else. 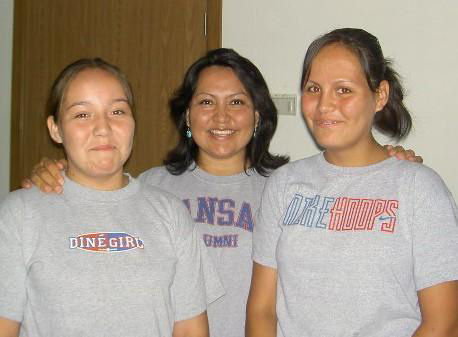 My weekends and week nights were spent inside the institutional green Indian Health Service hospital room during the 11th and 12th years of my life. I often sat away from everyone and kept quiet. I occupied my time with word search books, or people watching – strangers and my family. More than anything, I tried to watch and not to feel. It wasn’t always this way. I remember being mesmerized by how cool my uncle Alvin and his friends were. I even had a secret crush on his best friend, Jerome. We would pine over how cool he looked in his faded Levi’s and 80’s mullet. They were so much older than my sisters and I, but we were fascinated by how exciting their lives were. Even though we didn’t really know what their lives were like, we imagined they must have been simply fantastic! My uncle Alvin got sick in his early 20’s. His carefree days with friends were interrupted by his new life in and out of the confines of a hospital. I remember he would stay with us in Albuquerque for days at a time. I can only assume that it was for medical reasons. He loved to make baked potatoes. They were his specialty. He would eat his potato at the table and ask me questions about school as I saw across from him working on homework, artwork or word puzzles. As his life changed, so did ours. We didn’t laugh as much. My mom and my aunts were always huddled as they talked in muffled voices at the hospital, at restaurants, or at our house. I knew he had cancer, but I was never told what kind. To this day, I’m not sure what kind he had, I just know it was aggressive and took him down hard….cancer. Cancer would become a word that rolled off my tongue as I recounted family medical history to any new doctor that came into my life. I didn’t think it was odd that our family was so familiar with cancer…but, apparently, it is. Mary Sue was the aunt I only knew through stories. She was diagnosed with Leukemia when she was a child. My mother’s older sister died in the 1950’s after a long, difficult struggle. 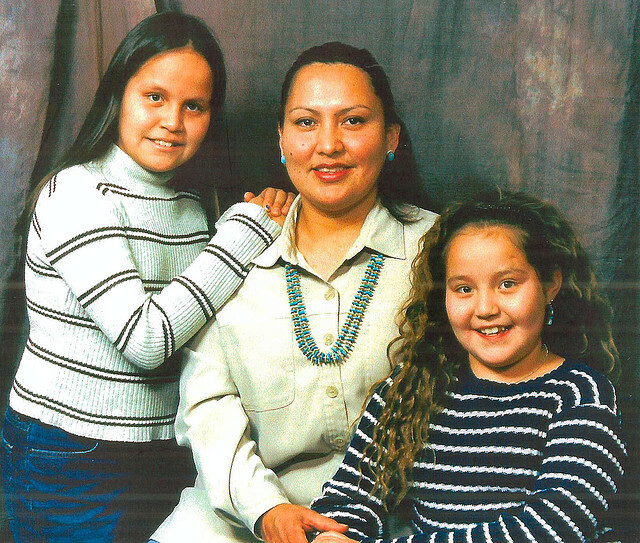 At the time of her death, cancer was new to our family and to the Dine’ (Navajo). It was back when the “experts” thought that our people were immune to cancer. Back when they sent dads, brothers and grandpas, like mine, deep into the Uranium mines of Cove, Arizona in the heart of Dinetah (Navajo land). Those men would come out of the mines covered in yellow dirt. The smart ones, took rags or bandanas to cover their noses and mouths. All of them walked radiant paths right up to the doorsteps of their homes – including our family home in Shiprock, NM. I was the mother of junior high aged children when I learned that my Grandma, our matriarch, was diagnosed with cancer. She was in the winter months of her life. She had lived a long, full life, rewarded with successful children and more than 24 aspiring grandchildren and a handful of great-grandchildren. She loved and knew she was loved, greatly. Regardless, it was difficult to watch that intangible scourge take the life from her. Her soft hands continued to dole out love pats, and gentle, comforting grips even as the rest of her body succumbed to the internal predator. In Navajo, we call our mother’s sisters, Shima yazhi, “my little mother.” And they are my mother’s in every sense of the word. I can call them if I’m feeling bad. I can call them when I’m in need. I can call them anytime and I’ll be greeted with “Oh, Shi yazhi (my little one), Bunty….” Bunty, being that baby nickname that I’ve never been able to escape. Not too long ago, I longed to hear that silly nickname from my Auntie Lorraine. I’m her namesake and spent the early years of my life living with her and her husband, my Uncle Jim. It was at my wedding to my husband, Jimmy that I learned her and my uncle were the original “Lori and Jimmy.” History repeats itself in the most amazing way sometimes. She was diagnosed with breast cancer. Not so long ago, I feared I’d have to carry on the blessing of her name, alone. I remember her telling me, “I knew it was coming for me. I just didn’t know when.” It was heart-wrenching to actually feel the doom in her voice from over a thousand miles away. They caught it in time, but not without the sacrifice of her womanhood. My Auntie Woosie was always gruff, tuff and funny, even though she didn’t realize it. As kids, we’d always jokingly try to avoid her trailer come evening. It was not easy, as the front door was at a 90 angle from the front door of my grandparent’s home, which is where our family gathered. If one of us strayed too close to her trailer, we’d get called to her side and made to scratch her hair or her back “until it bleeds;” because, after all, we were of “slave age.” We can laugh now, but steering clear was a covert operation as kids. Those funny memories were endangered once we learned that she too had become a victim of cancer. She would be the second case of breast cancer in our family. Her life was spared, but not without her offering of self, body and dignity. Today, her humor and liveliness is guarded by folded arms and limited gestures; almost as if protecting self. In Dine’ life, there are no lines dividing family. No aunt, uncles, cousins or nieces and nephews. We are simply- mothers, fathers, brothers, sisters and each other’s children. One of my younger sisters was in junior high school when she was hit by a car. Even then, she was a petite young girl with delicate features. We feared her fragile body couldn’t handle the trauma. They urgently labored to piece her back together again as we braced against the fact that she might not survive. If she did, she would probably never walk again. She walked right out of the grips of death and into young adulthood and later into motherhood. It was when her youngest children, twins, were just beginning their pre-school experience that she learned she was firmly in stage 4 of a rare cancer. Her body failed her and did not develop as planned when she was a toddler, giving an opportunistic cancer the perfect environment to grow. We feared that this would be the end. Her even more fragile body readied for the long, hard fight. Every day was a new battle against a powerful, unseen villain. Prayers and tears enveloped her small, bed-ridden frame as she drew back again from impending death. She went into remission only to be back on the battlefield a few years later. Again, she drew strength from family, friends and loved ones, alive and departed, to pull firmly back into our lives for good. Chemotherapy is a cruel savior in our circles. It is the kryptonite to cancer, yet is the kink in our protective armor called immunity. My sister battles with the repercussions of her numerous cycles of chemo. Today, her nearly 90 pound frame braces against the simple invasion of germs, illness and even the common cold. It’s a bitter-sweet reminder of the tears, prayers and faith that uplifted our own vanquished spirits during her most trying times. But, she survived. We survived. Sadly, our family stories are not unique. They are not proof of a family curse. They are stories of Navajo people that are familiar and the same for indigenous peoples around the world. They are proof that we are not a magical people with the ability to conjure up paranormal protection from universal forces. They are proof that we are not supernatural beings that can seek help from botanical or animal entities. We are human. The stories are proof that we are survivors. We have proven over generations that we are resilient. We are determined. We have stood together and strong against more than most people care to imagine. We are proof that the human spirit is stronger than disease, manufactured myths and genocide. We stand above the blame and use that strength to lift one another up. Now and in the future, we will continue to weave our stories of hurt and disease. But in each, we always look beyond to the outcome; which maybe a new journey in a new life, or a renewed journey in this one. Either way, the end is always a blessing. The end is always a blessing. I worked at Haskell Indian Nations University during the 75th Anniversary of the Haskell Arch. There had been a lot of fanfare leading up to the celebratory anniversary. My office was in the Cultural Center and Museum. For years, I had worked closely with the Haskell Archives. I had examined photos of famous campus people, famous Indigenous leaders and just about every building on campus. 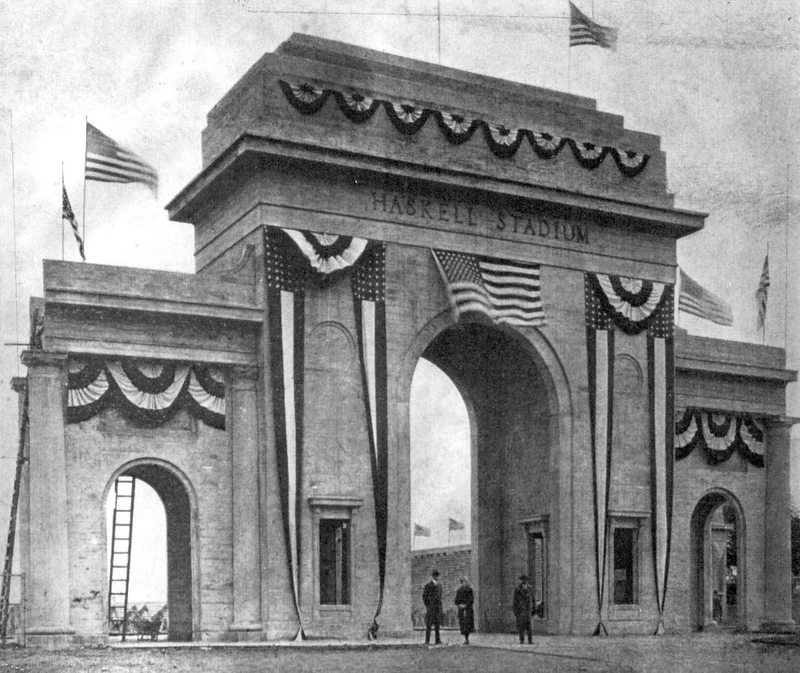 I remember spending a great deal of time examining the intricate details on one particular photo of the Haskell Arch from the grand celebration in 1926. The details were amazing. At the time, I had been in charge of major events on campus, like Commencement and Convocation. As I studies the image, I imagined what the those little people must’ve been talking about and what they were feeling. I imagined a bit of anxiety mixed with a healthy dose of excitement. I knew we were planning on having a celebration in commemoration of the 75 anniversary, but I had not been part of the planning process. I was excited to see what they had in store. 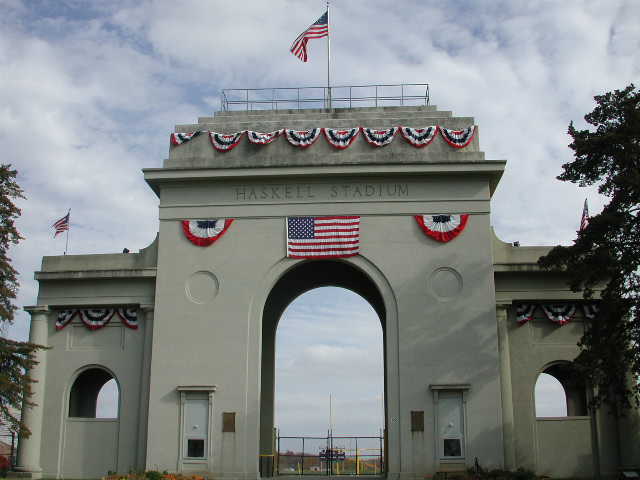 Each and every morning, I drove by the Haskell Arch. If I wasn’t rushed, I’d glance over…but most of the time, I knew what was there and I just sped past without much acknowledgement. One particular morning I was driving onto campus and came to a screeching halt. My peripheral vision signaled something out of the ordinary. After I stopped I turned slowly to my left to see the image below. Haskel Arch, 2001. Courtesy of the Haskell Cultural Center & Museum. Oh boy, did I have to readjust my vision and thoughts. Just a few days before I had been staring at the 75-year old black and white image. On this day, I was face-to-face with a historical recreation. Chills coursed throughout my body. I sat for a moment to make sure I wasn’t losing my mind. Yes, in the middle of the street. But, I wasn’t the only one. Another car had pulled over well behind me in equal amazement. Later in the day the long draping flags went up. It was a magnificent sight. We were witnessing history. Literally! All throughout that day, from the little window of my office at the Cultural Center, the past and present were visibly one. When I was in high school, I believed I was glorious. Not only that, but that I was headed to more (personal) glory in the future. I wasn’t the most internally confident person, but by all outward appearances, I knew that I was certainly a force to be reckon with. I was assertive and I knew where I was going in life….straight to Broadway. Now, I was still a good girl at heart. I had dear friends (boys and girls) that I was fiercely loyal to. I was always the first to help a person out, if I could. I had a deep conscience. That would be my saving grace. In college, I was a volleyball player and a budding thespian. I knew I had what it would take to “make it big” one day on the stage, on the screen or on TV. I just knew it. Again, I was my biggest fan…as most of us are in our late teens and early 20’s. To make things a little more interesting…I am a Leo, leo….LEO! In my early years, I frequently teetered on the brink of a “self-absorbed” Leo and the caring, loving and loyal kind. By the time I turned 20, I had achieved a great deal…including becoming a mother. By 22, a mother of two. I told my oldest daughter (after a looong pause) that I needed to have my children then. If I had not, I would not have had them at all. I was on a fast track to self-fulfillment and they became my fortuitous salvation. My children grounded me….more importantly, they humbled me. I learned to become self-less. I learned to love unconditionally. I learned to see the world around me, through their eyes, rather than seeing only me in the world. Their lives aligned with my own journey. As I look back now I see that our lives today could not be possible had I not become a mother at the time I did. I fumbled, cried…..and grew as a mother. 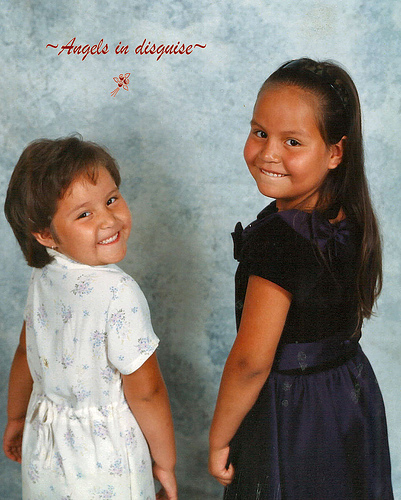 As the day to celebrate Mom’s near, I want to begin the celebration by honoring my children, Chamisa and Briana. I know, without a shadow of a doubt, that I would not have matured into the person I am today without them. I read a poem a while back that said, “the love you have in your life is merely a reflection of the love you put out into the world.” I can honestly say, that my world is filled with happiness, joy and an abundance of love. Thank you, girls for allowing me to be your mother. 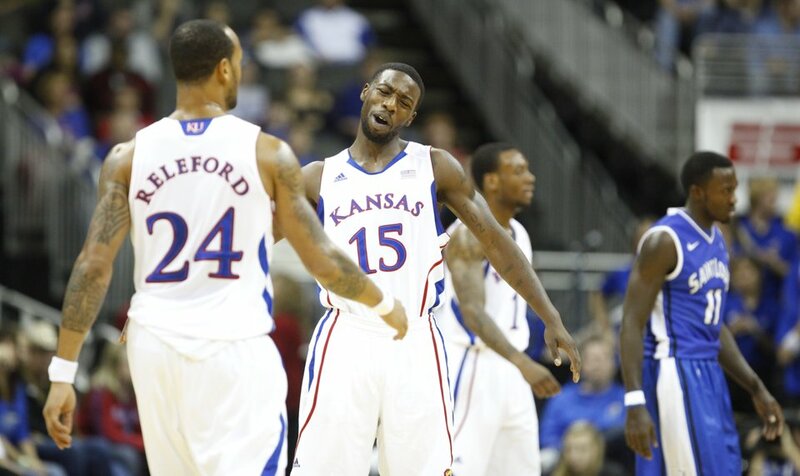 The Kansas Jayhawks take the court tonight for their ninth game of the 2012-13 season. We live in Lawrence, KS and I can tell you that we are a Jayhawk household through and through. The games are blasted in our living room…or we join the throngs of other hawk-crazed fans at local eateries downtown. As my love for my team has grown over the years, so has my understanding of the game. But this wasn’t always the case. I grew up in the high desert of the southwest. There wasn’t much to do besides play basketball. Driving down a dirt road, common landscape fare always included a beat up metal hoop with a square plywood backboard. Most of the time, the rims didn’t have nets, but that didn’t really matter. What mattered were that the makeshift courts were available at all hours for pick-up games. Sometimes car lights were used to keep a hot, competitive game going until the wee hours of the morning…or until the car batteries started whining. As you can imagine, every childhood dream included a stint playing professional basketball. These dreams always began to blossom in junior high. Everyone who was anyone tried out for their local school team….including me. I was in the eight grade with my older sister (cousin). She grew up with an actual basketball court just down the street…and no real curfew. That meant, she was able to hone her skills all summer long and she was gooood. I wasn’t so lucky. But, that didn’t matter, I was determined to tryout for the team anyways. And what do you know, I made it. The girls practiced right after school. It was fun getting to dress out in the varsity locker room. My parents even bought me a new pair of Nike hightops for my budding basketball career. That season, I learned the 3-man weave, the hi-post, low-post and an amateur version of the pick and roll. I remember watching my sister and simply following her lead. What she did, I did. Practices were always “fun” and exciting. Let me repeat…PRACTICES were fun and exciting. But, the games? Now, those were a whole other story! I recall the first game I played in. Well, I didn’t actually get much court time, but I did get to play. My sister, on the other hand, was a super-star! Remember, she came to the court with a summertime of practice in the bag! When I eventually got to go in, I was sooo flustered. I remember having near panic attacks because I couldn’t remember what I was supposed to do. Being 13 is awkward enough, but throw a little anxiety in the mix and you had a hot mess! As the season went on, I began to dread game days. I would try to play sick. But, only sick enough so that coach wouldn’t make me dress out and not so sick that I couldn’t go to the JV and Varsity games later in the evening. It was a very tricky song and dance that I had going on. The days that my excuses didn’t work and I HAD to dress out, I always sat near the end of the bench. Waaaay down there, out of coach’s line of sight. My mantra on those days was, “be still, no sudden movements, and don’t, at all costs, make eye contact!” It worked like magic for most of the season. Until that one fateful day…. We had a home game and my mom and aunt came to watch. I had tried to dissuade them by saying that my tummy hurt and I didn’t think I was going to play. But, they wanted to come and be supportive and cheer me, my sister and the team onto a victory. I took my usual spot at the end of the bench. The game was moving right along. Halftime was a few minutes away and I hadn’t had made eye contact with anyone, not even my teammates. I remember getting caught up in the court action and then it happened. One of my teammates went down. She went down hard with a twisted ankle. Remember that anxiety?? Well a surge of it went through my body the very moment that I realized that I would most likely get thrown onto the court. My heart felt like it had just been stabbed with an adrenaline shot! I tried to run over to offer my help to the injured. My thought was that maybe I could get her ice, or carry her home….but, no. I was shooed back to the bench. “Lori, go in.” Those words came out of my coach’s mouth in slow motion. And I just stared at him for what seemed like an eternity. My thoughts were that maybe I give him a few seconds to realize that he actually said the wrong name. “Uhh…ok,” was all I could muster. There I was, shaky and sweating, even before the buzzer even went off to signal me onto the court. I was a mess. And there was my mom and aunt, clapping and yelling, “Yaaay, Buntie.” “Woo hoo, Loji!” I couldn’t even look their way. So, the game continues. Time is ticking. I manage to dodge the ball a few times as I trotted around the court. I helped my defender defend me by keeping her between me and the ball. But, as the game continued, I starting to feel a little at ease out there. “I can do this,” was what I was thinking. On a fast break, one of our girls was fouled. She was sent to the side line to throw it in. I can tell you that the defense on the other team wasn’t so great, because not matter how hard I tried, I kept coming up open! And then she threw it to me. I had the ball and my defender wasn’t anywhere in sight. I had a clear path to the basket. “I got this,” I thought to myself! I began dribbling and gunning it down the court. My bench was on their feet. The crowd went crazy. I laid it up and into the into the hoop like the star I was about to become. Man, it felt good to redeem my career. I jogged to the wall and grabbed the ball to toss to the ref. That’s when I turned around and saw my bench and the crowd staring at me with their jaws on the ground. It took me a minute to figure things out. I was so confused. My shining moments fizzed quickly as I realized that I had just scored two points for the other team! Needless to say, that was the very last competitive basketball game I ever played….ever. But, I did go on to be one darn good cheerleader the next year. I survived the rest of at school year with minimal taunting. I went to a Christian school, so I took every opportunity to chastise the fools who dared to tease me. 🙂 What I learned from that experience was to hold my head up, especially in the face of disaster. I’ve used that lesson many times over in life. These day, my hoops dreams are focused squarely on Lawrence, KS and one of my favorite teams, The KU Jayhawks. I’m sure I fool many a fan by my fanatical love of the game. I don’t mind. Let them believe I come to cheer with a retired hoop career that fuels my college basketball obsession. I’ll continue to be a die-hard with all the rest who live for October and “Late Night in the Phog”…..and the annual start of our mad march to the Championship! Basketball Mecca – Allen Field House, KU.